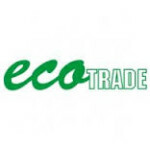 Ecotrade Group Company is an international company that specializes in the refining and recycling of catalytic converters. These contain precious metals that we extract from the process and are then sold through to, primarily the jewelry and automobile industries. Our Head Office is located in the outskirts of Bangkok, an exciting and vibrant city that offers endless opportunities for leisure activities. Our group is expanding its operations in several countries in Asia (Cambodia, Malaysia, and Indonesia) and will set up a company in France soon.